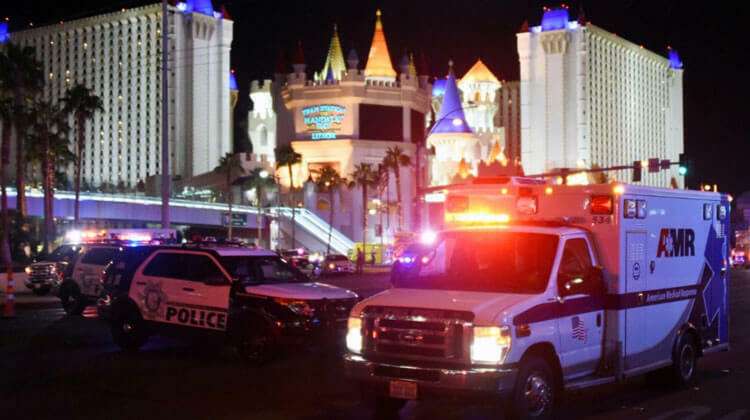 Another room: Days before the attack, shooter Stephen Paddock rented a condo in a downtown Las Vegas at the same time as another music festival. Someone named Stephen Paddock also reserved a room at the Blackstone Hotel in Chicago during the Lollapalooza Music Festival (but it’s unclear if that person is the Las Vegas gunman). The victims: All 58 shooting victims have been identified and their families have been notified. Bump stock debate: Republicans and Democrats are uniting over a proposal to ban the sale of bump stocks, an accessory that can convert firearms into an automatic weapons, which are banned by federal law. ATF officials said the gunman rigged 12 semi-automatic rifles with bump stocks. Clark County Coroner John Fudenberg says all 58 shooting victims have been identified and their families have been notified. Las Vegas officials set up a Family Information Center for those families, the coroner said at a news conference. The center will be helping families obtain death certificates as well as coordinate mortuary and transportation services. The Trump administration, she said, is focused on preventing similar shootings from happening again.